Start-Ups, Silicon Valley just debuted on Bravo recently, but that doesn't mean Zuckerberg Media isn't already setting its sights on a new subject — Silicon Alley. 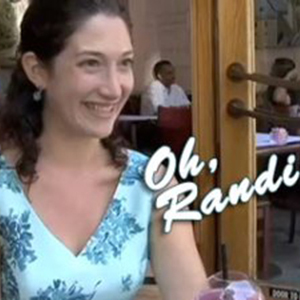 According to The Wall Street Journal, producer Randi Zuckerberg now plans to aim her reality-TV wand at the technorati scene in New York. Why the shift? Seems Silicon Valley — that hotbed of up-and-comers and their tech innovations — is actually not so rife with drama on a day-to-day basis… that is, unless you like watching people in all their keyboard-slaying, white-board flow-charting glory. That's not to say the production company and network didn't do everything they could to try and jazz things up, like run promos with bathing suit–clad babes, but the opening numbers tell the tale: Just 634,000 viewers tuned in for the premiere episode. Enter The City That Never Sleeps. Now here's a place that has drama in its DNA. Of course it does; it's the mother ship for actresses, dancers, finance jockeys, entrepreneurs and investment wizards, fer cryin' out loud. And it would seem like a no-brainer, if not for the timing — this news comes on the heels of the city's devastation from Hurricane Sandy. Will Start-Ups tackle the serious topic or ignore it, opting for the boozy booty calls and bar brawls that reality TV usually favors? It's too early to tell. Did you tune in to Start-Ups, Silicon Valley? And would you watch Start-Ups, I'll Take Manhattan (or whatever it will be called)? Let us know your thoughts in the comments.